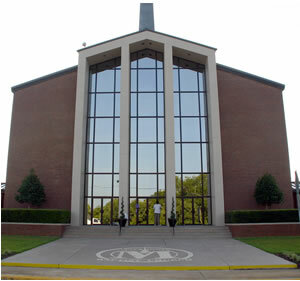 In the summer of 1972, Macedonia Church of Macon, GA was in need of pastoral leadership. As a result the community extended the pastoral invitation to Eddie D. Smith, Sr., a teacher and media specialist with the Bibb County Board of Education. After giving up his teaching career, Eddie D. Smith, Sr. became Pastor Smith. While preaching from the subject “I Am Sent Me” on August 6, 1972, he accepted the full-time pastorate of Macedonia Baptist Church. Pastor Smith is truly the man sent by God to Macedonia. Hence his pastorate to date has been the trademark of one anointed. Pastor Smith teaches and preaches the gospel of peace and brings glad tidings of great things. Pastor has endured affliction, ridicule and persecution. Notably not with a spirit of fear but with power, love and sound mind. Thus making full proof of his ministry to God, the church and the community. The biblical eloquence and truth of his sermons has captivated thousands if not more. Affecting the daily lives of not only the members of the Macedonia but all who see and hear him weekly over our television, radio, and online broadcasts. In addition to expanding the church physically and spiritually, Pastor Smith leads to serve virtually through Macedonia’s free online Christian Baptist church. Macedonia Church will be a Christian community within the community that wins souls for Christ by evangelizing the unsaved, builds souls for Christ by equipping the saved, and sends souls into the world for Christ to empower our community.